New customers at Casino Las Vegas are eligible for a $400 welcome bonus divided over their first four deposits at the casino. On each of your first four deposits you will be eligible for a 100% match deposit bonus up to $100. High rollers can make use of a special welcome bonus plan. You can be eligible for as much as $4,000 over your first four deposits if you are a high roller. If you invite your friends to play at the casino you can earn a $25 bonus when they make their first deposit at the casino. 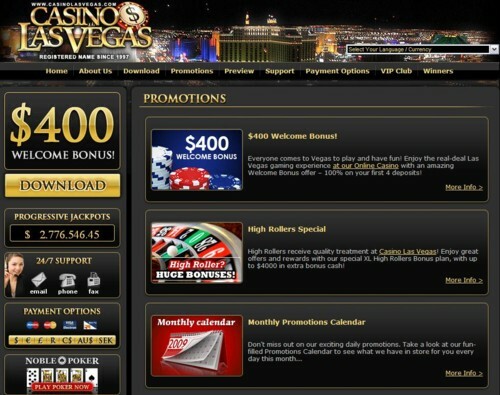 Each month at Casino Las Vegas there are special daily bonuses and promotions. 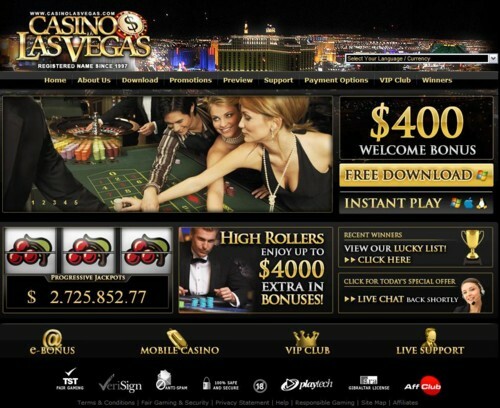 Registered players who receive the promotional email from the casino will be eligible to participate in them.